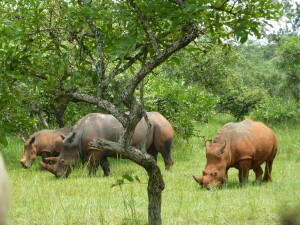 Murchison Falls National Park stands as the largest protected area in Uganda with a protected area of about 3,840 km2. 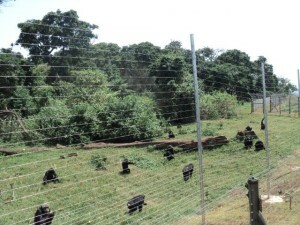 The park lies at the core of the greater Murchison falls conservation area which embraces the Bugungu, Karuma wildlife reserves and Budongo forest. First gazetted as a game reserve in 1926, it is Uganda’s largest and oldest conservation area, hosting about 76 species of mammals and approximately 451 birds. At Murchison Falls, the Nile squeezes through an 8m wide gorge and plunges with a thunderous roar into the “Devil’s Cauldron”, creating a trademark rainbow. 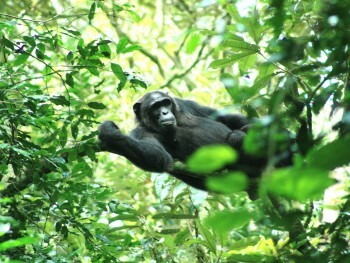 The northern section of the park contains Savana and Borassus palms acacia trees and riverine woodland. The south dominated by woodland and forest patches. Para which is situated alongside the Nile a few kilometers downriver of Murchison falls is the focal point of tourist activities in the national park. All access roads leading into the park converge at Para, where a regular motor ferry provides the only means of crossing between the northern and southern banks of the Nile within the park. The popular launch cruise to the base of the falls departs from paraa as does the main game viewing circuit north of the river.